If that rings true, then this episode of the iDisciple Podcast is perfect for you! 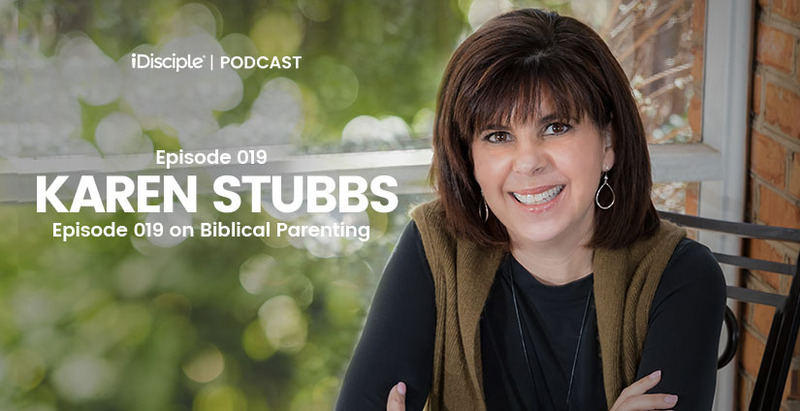 David is joined in the studio by Karen Stubbs, a renowned author, speaker, and motherhood guru. Karen shares with us the story of how God used her tough years as a young military wife and new mom to mold and prepare her to one day launch Birds on a Wire, an international ministry dedicated to equipping and encouraging mothers. David and Karen’s conversation is filled with stories and advice that will resonate with anyone struggling with the fear and confusion of parenthood. It doesn’t matter if you’re a man or a woman, an expecting parent or an empty nester, this discussion will leave you with practical parenting wisdom and your spirits raised! If you would like even more parenting pointers from Karen Stubbs and Birds on a Wire, download the iDisciple app! Since 2013, iDisciple has been leading people into a closer relationship with God through music, sermons, and devotionals, all in the palm of your hand! Check out www.idisciple.org to learn more, and sign-up for iDisciple today.